We can work with you to produce bespoke accessible training videos to meet your training requirements. All our training videos feature everyday people living and working with a disability giving us a unique edge within this industry. We can arrange the training video to be shot at a location for example, aircraft, train, bus, hotel, office, restaurant, gym, shop etc., to suit your needs, our videos will encompass your organisations ethos and brand. We will work with you to establish what disability training videos you have in place and how we can develop or improve your library of disability awareness videos. 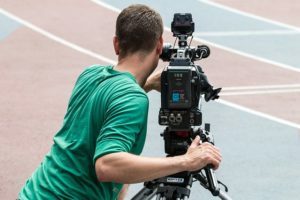 Our videos can cover a range of topics to include, confidence and appropriate terminology when communicating with a person with disabilities, The Equality Act 2010 in relation to disability, assistance dogs and legislation, the social and medical model of disability. We can simulate our disability awareness videos to demonstrate how someone with a disability may see or hear, for example, muffled voices, blurred focus, from a wheelchair user’s perspective, this will give the group an insight into living with an impairment and how it impedes on access and service.